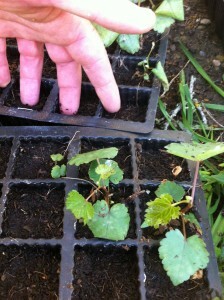 ← HHW ‘GRU’ Gruner Veltliner 2011 about to be released …. Join the GRU Crew! I personally like to think it’s like drinking dazzling starlight! Our joy with the GRU award was doubled when we discovered that the Hahndorf Hill ‘Blueblood’ Blaufrankisch 2009 was also honoured with a spot on the Adelaide Review’s ‘Hot 100’ list. 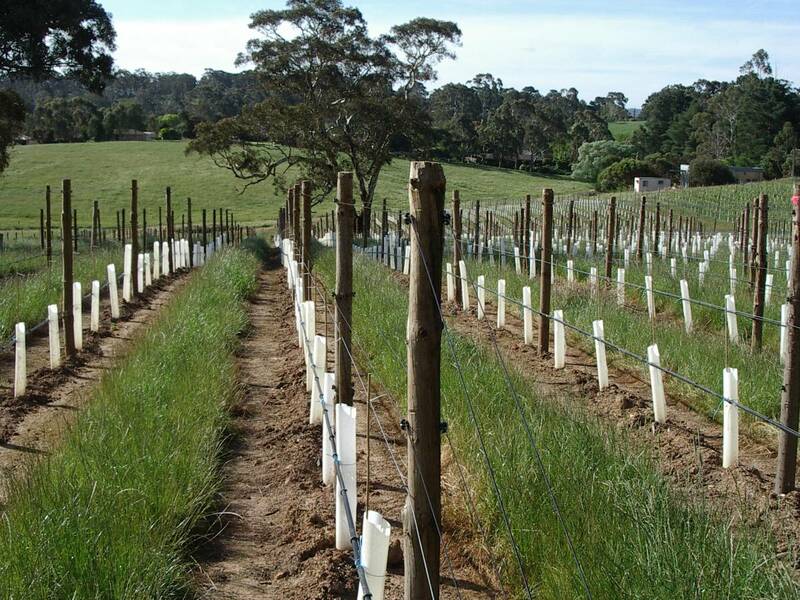 Last week was also a huge step forward for Hahndorf Hill, as we planted an additional 1.1 hectares of Gruner Veltliner. 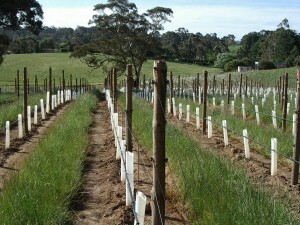 This brings our total plantings of this new-wave variety to nearly 3 hectares. As can be seen from the attached picture, it was a pretty challenging exercise because of the tiny size of the plant material. Each little mini-Gruner had to be carefully transferred from seed-tray to soil by gentle and caring fingers and then launched with a good drink of water and prayers to Bacchus to ensure their wellbeing! Hopefully these tiny plantings will survive all the obstacles ahead such as heat, cold, wind and rabbits and by the end of this year will have grown up to the cordon wire. Due for release in October?? Now late November. Waiting, waiting….